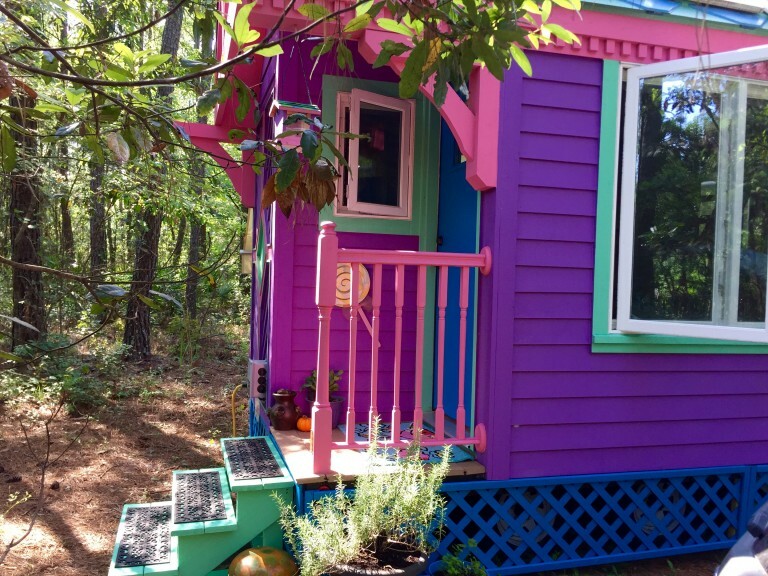 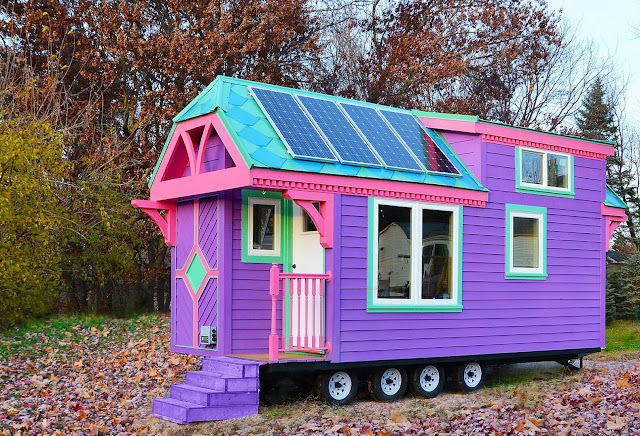 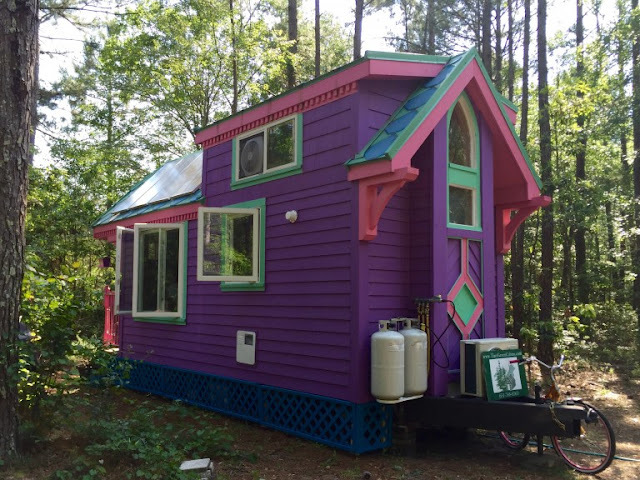 If living in a tiny house wasn't attention-grabbing enough, check out this bright and colorful home called the "Ravenlore". The homes measures 240 sq ft and was even featured on HGTV's Tiny House Hunters. 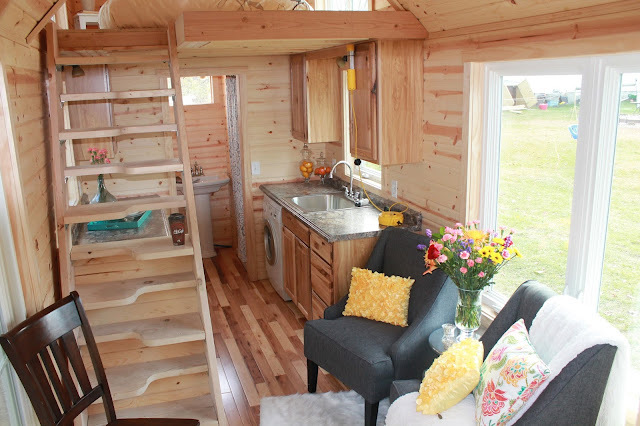 It has a loft bedroom, a second loft for storage, a full kitchen, bathroom, living room and a fold-out desk. 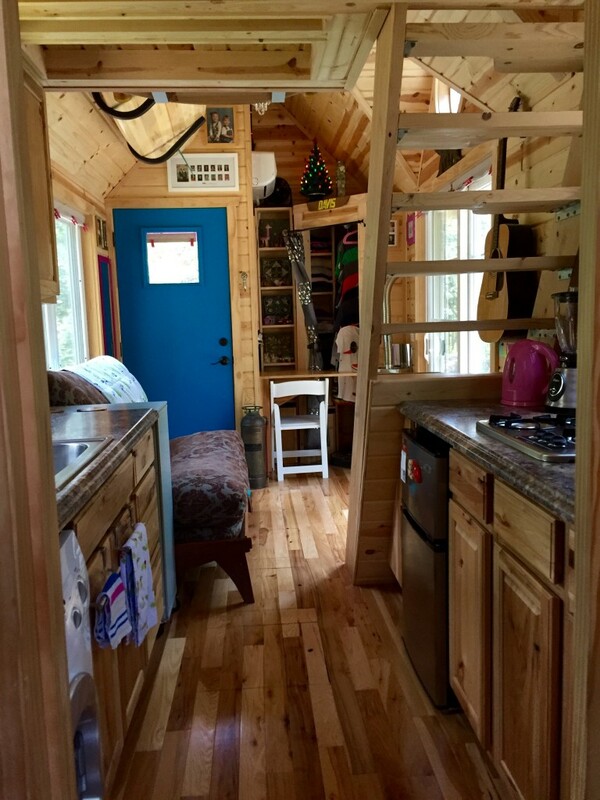 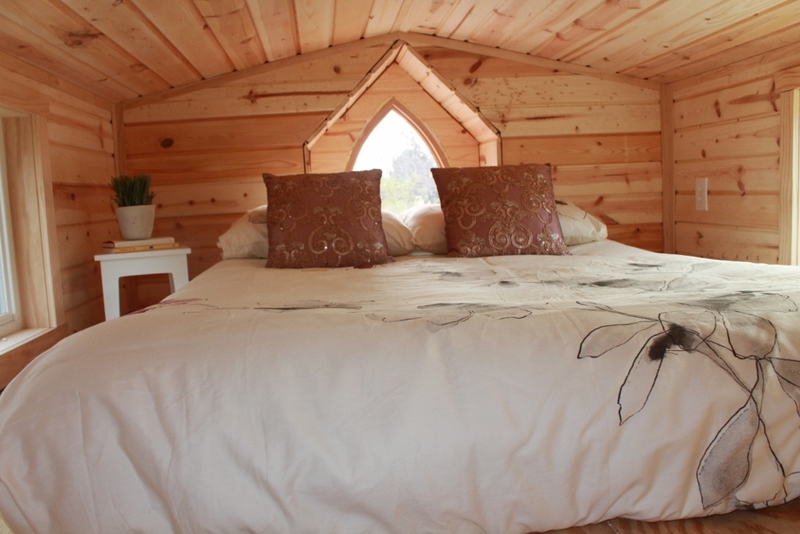 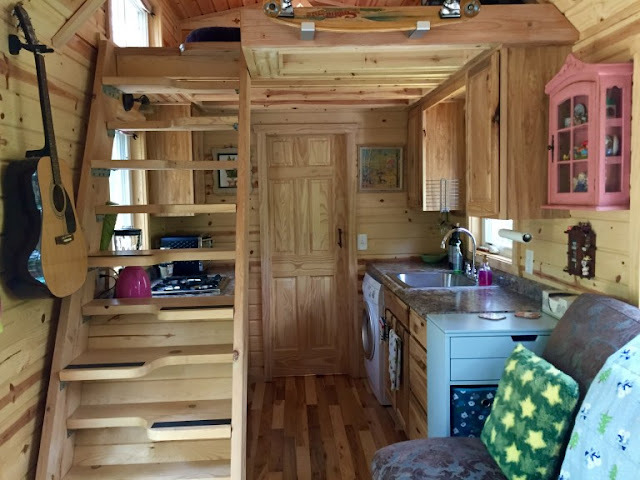 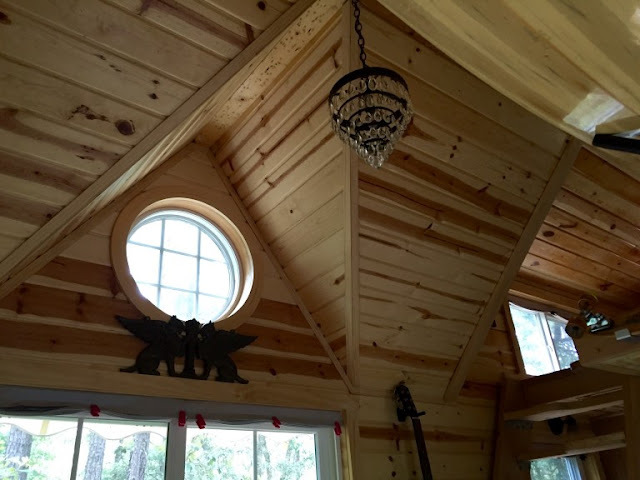 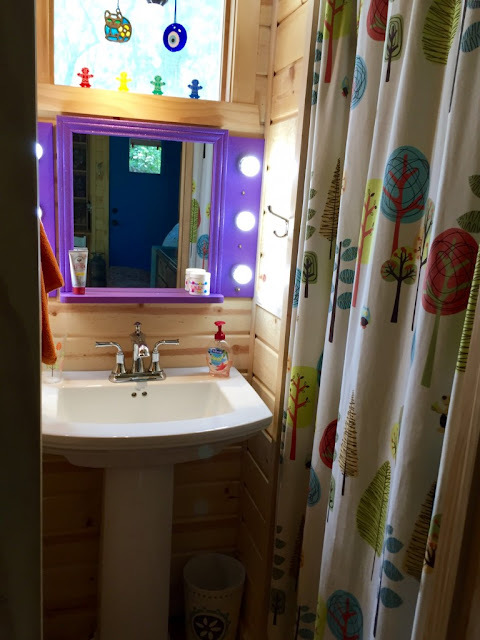 The Ravenlore is designed and sold by Tiny Green Cabins in Minneapolis, MN. 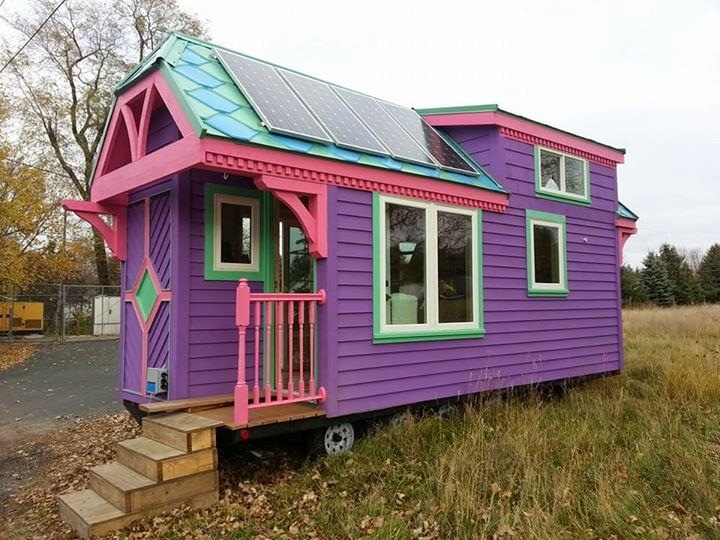 The home's base model prices are $56,900. 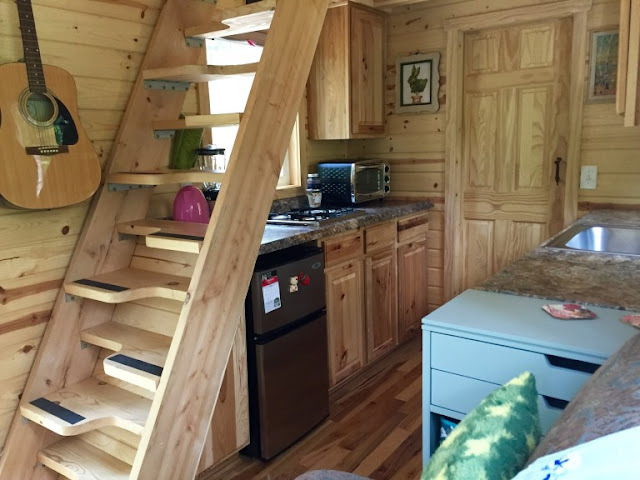 Be sure to watch a video tour of the home below!